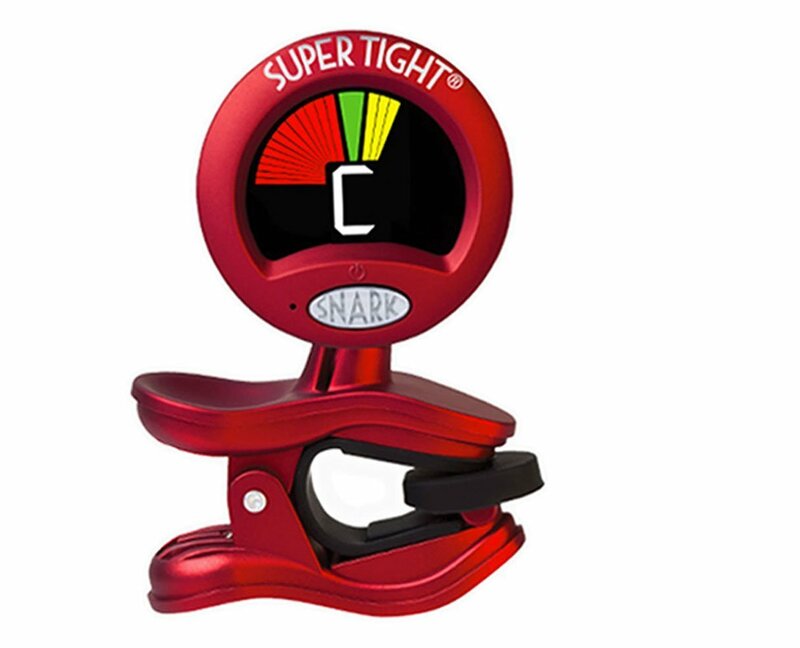 Snark's ST-2 Super Tight™ chromatic tuner works with any instrument. It features versatile clip-on headstock mounting, a built-in mic, a bright easy to read color display, and super-accurate tuning. The built-in silent visual metronome helps you stay on tempo in practice sessions, too. Transposition mode keeps things simple by allowing a normal readout when you're using a capo or dropped tunings. It's a whole lot of tuner for a great price! Rubber-padded spring-loaded jaws clip securely and easily to the front or back of an instrument headstock. Built-in mic for a different way to tune. Clip it to your music stand (or bandmate) and it works just as well. Bright colorful LED display pivots and rotates to practically any convenient viewing angle. Right or left-hand friendly! Easy to read on a dim stage or in daylight. Colors change from flat to sharp. Vibration-sensing response time is fast, and tuning accuracy is super tight. Pitch can be calibrated from 415 to 466Hz. Built-in silent visual metronome features easy tap-adjustable tempo. Auto power-off after 2 minutes of inactivity helps conserve battery life. 3-volt CR2032 lithium battery and instructions included.